Since I was planning on a new menu, I also wanted to ensure there is something for the boys. 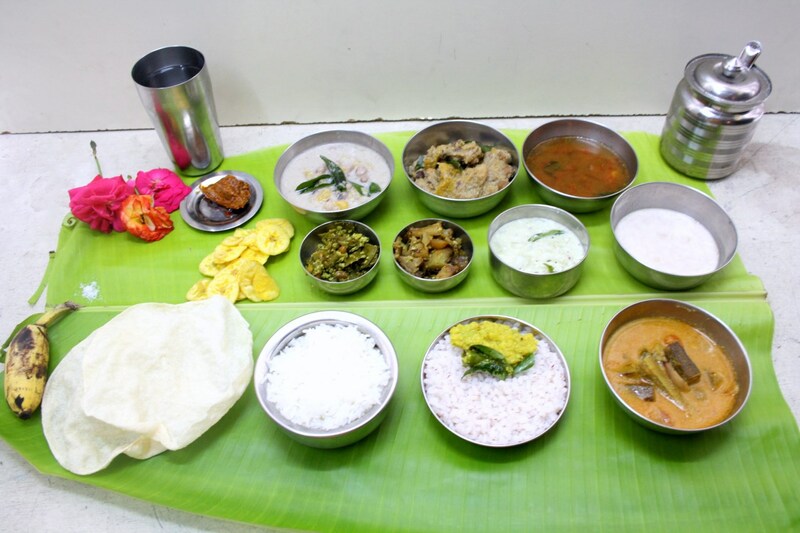 I knew they may not even touch the rest and wanted a sambar in place. 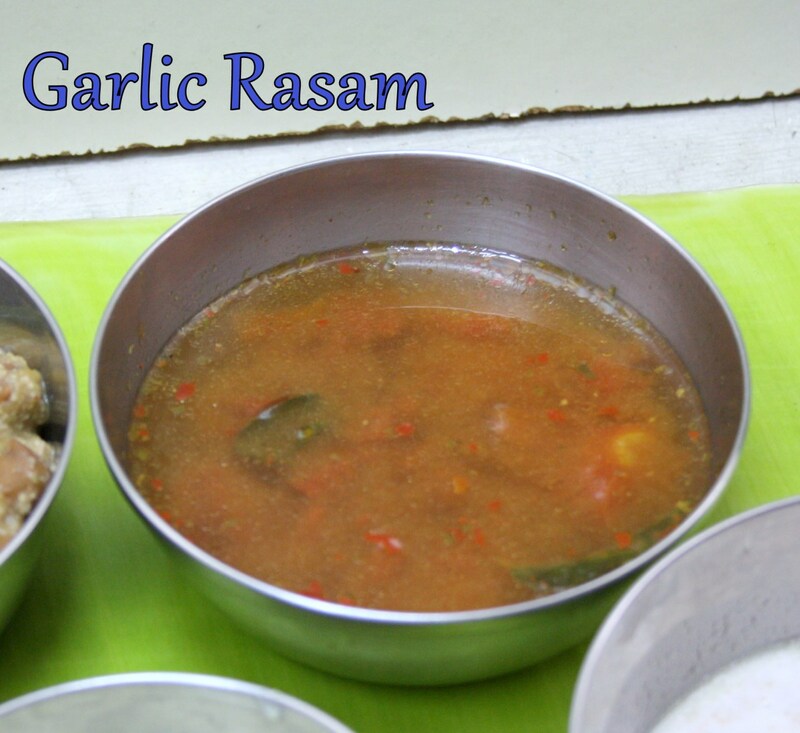 I normally make Cumin Pepper Rasam and thought this Garlic Rasam will be good choice. 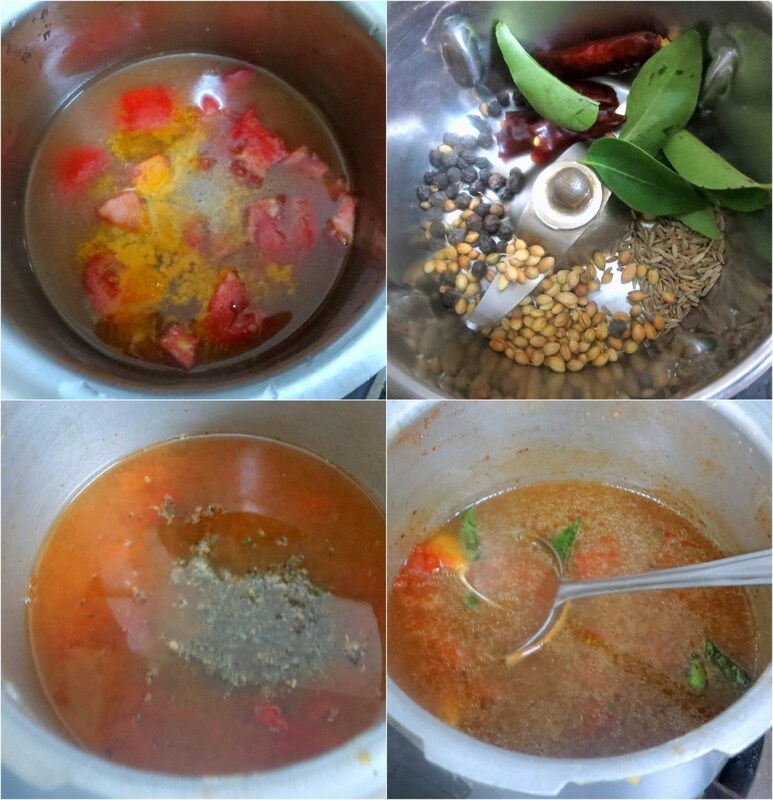 I use a simple pepper cumin powder and even have a 5 mins Rasam. It ended up being quite spicy and Amma commented that it tastes just like what she remembers having in Kerala. I adapted it from here. Soak tamarind in 1/2 cup of warm water for 10-15 min and extract the pulp. Take the tamarind extract in a pressure cooker, roughly crush the tomatoes or make a puree. To this add salt, turmeric powder, hing and 2 -3 cups of water. PC to a whistle, let the pressure fall down. Meanwhile grind Rasam powder by blending the peppercorns, cumin seeds, dried red chilies, coriander seeds and little curry leaves into fine powder. Crush the garlic with skin and set it aside. When the pressure falls, add the ground rasam powder and 3/4th of crushed garlic pods with skin to the pressure cooker. Adjust the salt and bring to boil. Once it boils and started foaming at the top, remove it from the fire. Don’t let the rasam boil for long time. Heat a kadai and add the tempering ingredients along with the remaining crushed garlic and sauté for minute or so. Pour this over the boiled rasam. Close it with lid and let it sit for 10 mins. Serve hot or warm with rice and fried pappadam. I like garlic flavor in any dish.Rasam sounds falvorful.